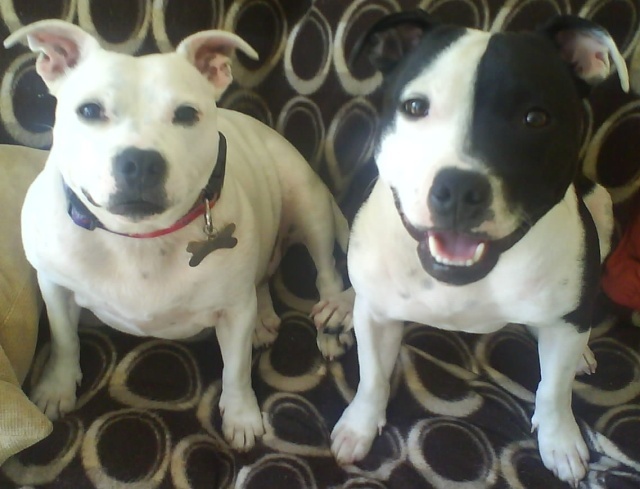 A fun & friendly forum for those who love Staffordshire Bull Terrier's. Online store specialising in Staffordshire Bull Terriers. Products include: Leather, Staffie Hoodies - made to measure, Puppy Staffords, Staffie Jumpers, Waterproofs and Coats, Tough Toys Training and Agility, Grooming, Pyjamas, Small Breed Clothing, Ultimate Bling Collars, Diamante Charms, Harnesses, Non-Pull Harness/Collar, Mens and Ladies Hoodies/Polo Shirts, Staffordshire Bull Terrier Book, Treats, Safety Seat Belt Restraint, Cage Mats. Fantastic quality & excellent prices.